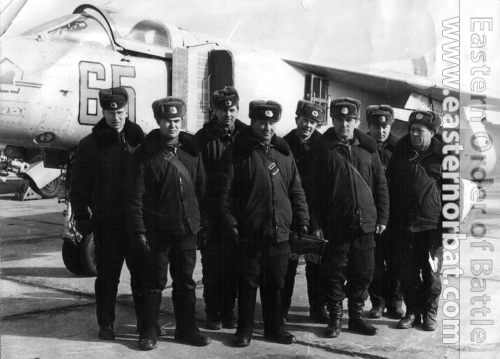 The Soviet 26th Tactical Air Army's 979th Fighter Air Regiment was the second combat unit that received the MiG-23S Flogger-A version. 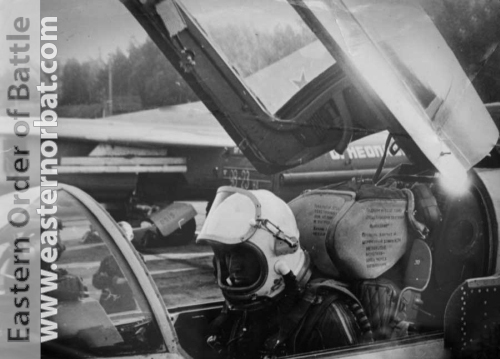 In 1974 the first gray MiG-23S arrived to Shchuchin in Belorussian SSR. 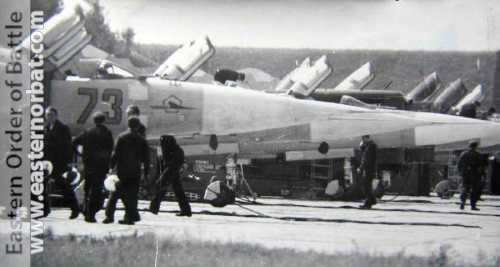 The early MiG-23s replaced the old MiG-19s. The 979th Regiment's pilots received retraining for MiG-23 at Lipetsk Training Center. 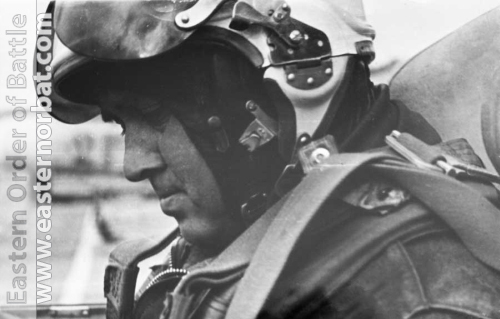 The used MiG-23S Flogger-A fighter aircrafts arrived from the 91st and 32nd air regiments. 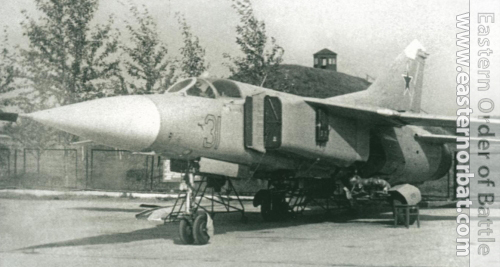 The rare MiG-23S Flogger-A version was only temporarily at Shchuchin. 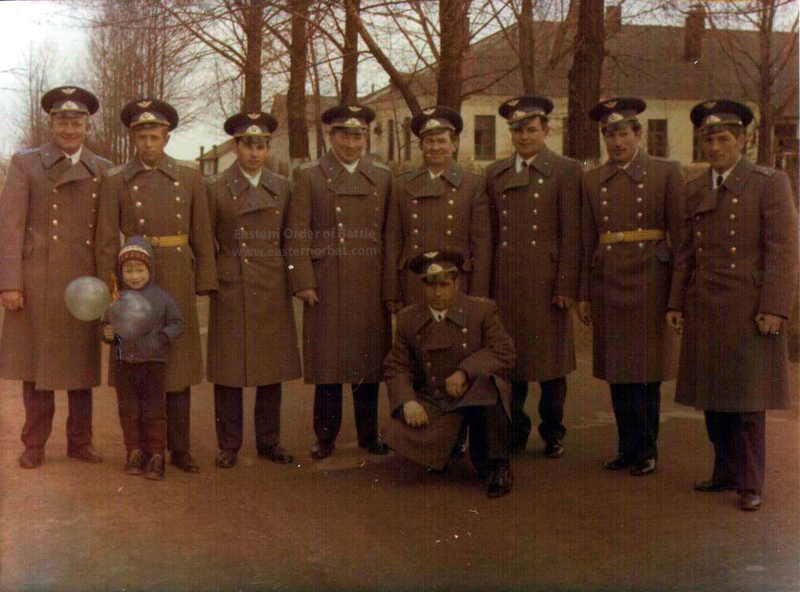 Between 1977 and 1978 they were handed down to the Chernigov Flight Officers' School.